The call to a Glendora emergency dispatcher one night last October had the grim details that, officials say, have become all too familiar: a woman had found her brother unconscious on his bathroom floor. She feared he’d overdosed on drugs. When Glendora Police Corporal Bill Lee and his partner, Jon Drake, responded to the call, they found a scrap of aluminum foil beside the man, holding a little bead of heroin. They noted the man’s sluggish heartbeat, faltering respiration and pinpoint pupils associated with opiate poisoning. But unlike similar experiences in the past, this time Lee and Drake had a tool authorities credit with saving the man’s life: they administered a nasal spray containing the potent opioid blocker naloxone. In less than 90 seconds, the man’s breathing returned to normal. He was taken to the hospital, and when Drake checked on him shortly afterwards, he was conscious, Lee said. Like other communities across California, Lee’s small town in the foothills of the San Gabriel Mountains east of Los Angeles has seen a surge in heroin abuse. When there’s an overdose call, it's often a police officer -- like Lee -- who is the first to arrive on the scene. Some advocates call it the "overdose antidote." Last year, California lawmakers authorized police officers to carry naloxone, also commonly known by a brand name, Narcan. Now, a handful of law enforcement agencies are issuing the emergency medication to officers. 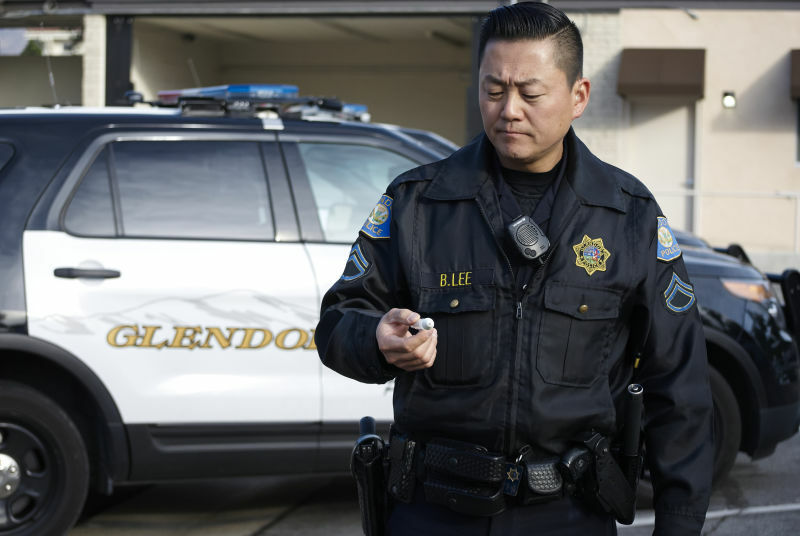 Glendora’s tiny police department – which also was a pioneer two decades ago in equipping officers with defibrillators to help heart attack victims – issues naloxone to its emergency medical technicians. The San Diego County Sheriff’s Department recently moved beyond a test program to equip all deputies. San Francisco also has a pilot project underway. The Orange County Sheriff’s Department expects to expand its initial program to include all deputies in the first quarter of this year, said Lt. Jeff Hallock, a department spokesman. San Diego sheriff’s Capt. James Bovet, who oversaw his department’s pilot program, said the naloxone spray clearly met a need. From 2000 to 2014, the county saw the death rate from opioid overdose increase by 50 percent, “and the trend was just increasing upward,” he said. During the pilot program to test whether naloxone could help, sheriff’s deputies frequently arrived at the scene of an overdose before paramedics, Bovet said. He said the San Diego Sheriff’s Department has successfully revived 28 people with naloxone since the pilot program began. Orange County Sheriff’s and Glendora officers have each recorded one save as well. Opioids depress brain functions that regulate breathing, and during an overdose, respiration slows, then stops. 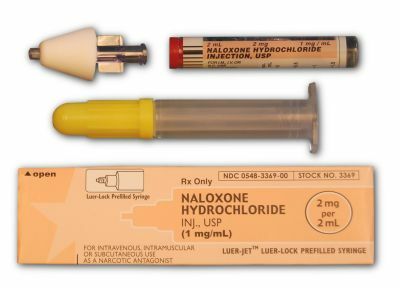 Naloxone kicks the opioids off those crucial brain receptors so an overdose victim can breathe again. While naloxone is non-addictive and generally considered safe, it pushes addicts into immediate withdrawal, sometimes triggering side effects such as a rapid increase in in blood pressure or seizures. Still, some law enforcement agencies have balked at the $52-per-dose cost of the remedy, Castillo said. Meanwhile, California has broadened access to the antidote further with a new law permitting pharmacies to sell naloxone without a prescription. “The evidence shows very clearly that the most effective way to make sure that naloxone is at the scene of an overdose is to get it into the hands of people who use drugs and their friends and family members,” said Laura Thomas, California deputy director of the Drug Policy Alliance. Bertha Madras, who served as deputy director of the White House Office on National Drug Control Policy in the George W. Bush administration, said she’s gained confidence in naloxone’s usefulness since it first came to her attention. She said she now strongly supports public safety personnel having ready access to naloxone. But the uninformed may be misled by the antidote’s seeming ability to provide a miracle cure, she said. The body stores some opiates in fat for long periods, and an overdose could recur after the naloxone wears off, Madras said.